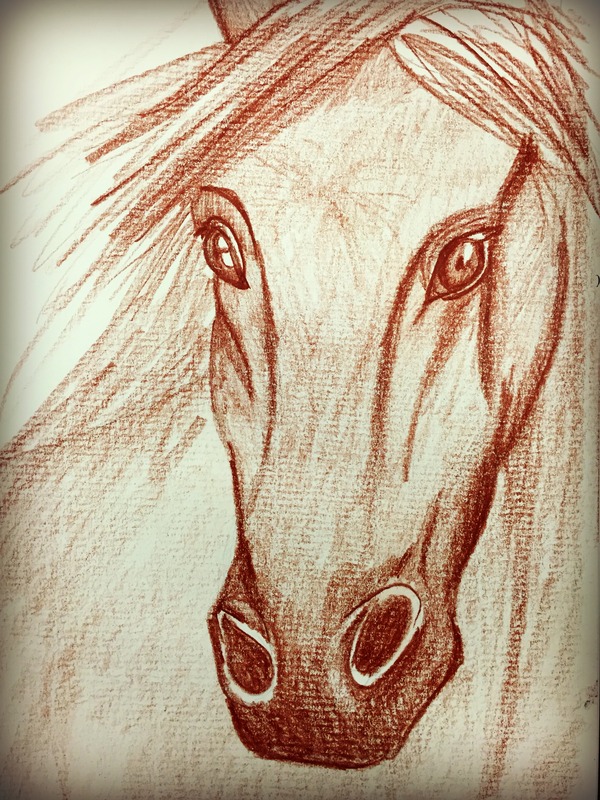 I drew horses quite a bit as a kid. Horse-crazy girl… such romantic creatures. Also tend to be claustrophobic, ill-tempered and generally unpleasant. Caught up with a few horses this week at the York Cup. Made a decent amount backing a pony called Captain Blockhead (true story) but otherwise, all my picks had four left feet. Pippa the Green Jedi has a beautiful blue Anya Brock horse painting in her obscenely trendy East Perth apartment. I’m not cool enough to be Anya Brock but thought I’d have a go anyway. Hence the lack of blue – can’t try and compete with that sort of genius. Top pic is colour pencil, bottom is pastel. 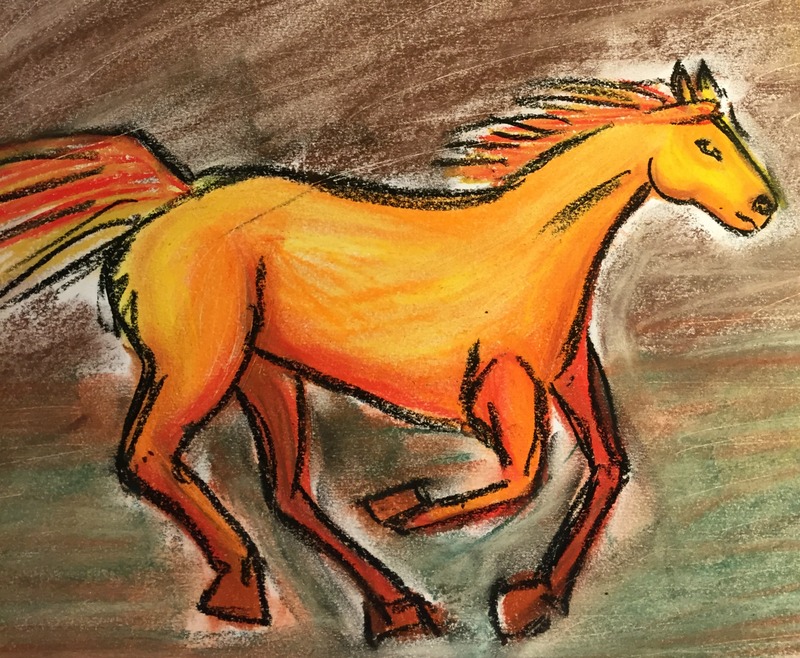 Actually quite happy with how the colours came out in the pastel horse, the rest of the pic doesn’t quite measure up.